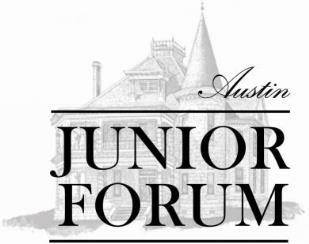 In November 1978, Austin Junior Forum submitted a bid to the City of Austin for the purchase of the Daniel H. Caswell House. After the purchase of the Daniel H. Caswell House, additional fundraising was required to pay off the mortgage and fund interior restoration. The birth of Lone Star Legacy Bluebonnet edition met this requirement. Members of AJF gathered their recipes, spent three years testing and tasting, and finally producing their first cookbook. After one year of sales and marketing, the members gathered to ‘burn the mortgage’ as the Caswell House note had been paid in full! Due to the great acceptance and success of their first cookbook, AJF released two subsequent cookbooks. Lone Star Legacy Indian Paint Brush edition was released in 1985, and in 1996, Changing Thymes, the new and improved cookbook that added a nutritional analysis after each recipe, was released. All proceeds from the sales of these cookbooks are designated for the preservation of the Caswell House, which we are proud to note, is listed on the National Register of Historic Places. Please click here for more information or to purchase a copy of one of our cookbooks.